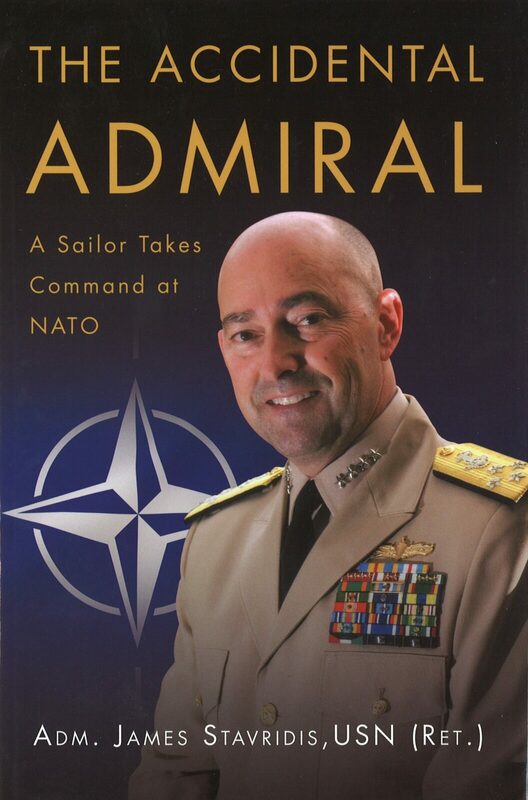 Admiral James Stavridis is a prolific writer who is known for countless journal articles and several books that should be in every naval officer’s collection, such as Division Officer’s Guide, Destroyer Captain, and Command at Sea. Fans and followers of the admiral’s writing knew that he would publish another volume upon the completion of his thirty-seven year career. Thus, the Naval Institute Press published The Accidental Admiral: A Sailor Takes Command at NATO in October 2014. After serving as the Commander Southern Command (SOUTHCOM), Defense Secretary Robert Gates asked Admiral Stavridis to serve as Supreme Allied Command of the North American Treaty Organization (NATO), a role that is dual-hatted as Commander, U.S. European Command (EUCOM). 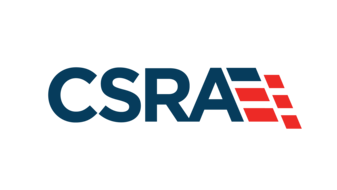 Stavridis was the first naval officer to serve in this capacity, perhaps because he is a recognized as a strategic thinker. The aforementioned prolific author holds a doctorate from the Fletcher School of Law and Diplomacy at Tufts University, where he is currently the dean. Stavridis took the helm at an interesting time when transition was being considered in Afghanistan, when the Arab Spring gave birth to a new wave of conflicts that are still evolving, and when social media emerged as a force multiplier for sharing information, ideas, and coordinating the movements of everyone from missionaries to mujahedeen. This created the foundation for the two main themes within The Accidental Admiral. First, Stavridis provides valuable historical perspective of the major conflicts that occurred or were ongoing during his time at the helm of NATO/EUCOM. Second, he shares his views on strategic leadership to include the advantages and pitfalls that come with Twitter, Facebook, and the other tools of a more interconnected world. Much will be written about the most recent phase of conflict in Afghanistan as the United States withdrawals over the next few months. Admiral Stavridis’ chapter on this may prove the most interesting of this entire book. He noted that while the country is often referred to as the “graveyard of empires,” the external elements operating in the country represent a coalition of over 50 nations, not an empire. Equally prescient were suggestions given by former Soviet generals who said, “Build mosques. Fill them with imams that will teach the true Islam. Then, you will win the war of ideas.” In the summer of 2009, there was a sense that things were not going well in Afghanistan. General Stanley McChrystal who led forces in Afghanistan thought the coalition was losing. Admiral Stavridis thought the changes for success were 50/50. When asked to send options to the White House, a variation of McChrystal’s ‘medium risk’ approach was selected that included 30,000 U.S. and 10,000 NATO troops. Stavridis had to garner NATO support, doing so with agreed upon caveats and guarantees. After discussing Afghanistan, Stavridis discusses Libya, Israel, Syria, the Balkans, and Russia. In each chapter, he places the country or region’s issues in context and relays personal interactions with their leaders. The reader can feel as if they were a member of his staff as he meets with generals and heads of state. 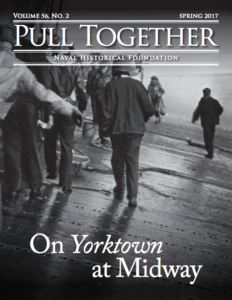 The second part of this book is the admiral’s reflections on leadership. His makes it clear that leadership at the strategic level may require practices different from subordinate echelons. Those in positions of national leadership can always expect to be under scrutiny. Many great leaders, Stavridis included, must respond to allegations true and imagined, on a scale that becomes distracting. For example, while relaxing in the presence of an unknown reporter, General McChrystal’s staff made inappropriate comments directed at President Obama. Published in the Rolling Stone, this lapse led to McChrystal’s dismissal. Stavridis, on the other hand, endured a long investigation into employment of military assets for personal travel and anomalies with reporting official gifts. All accusations proved to be false, but they had a negative impact on the admiral. The best overall chapter in the Accidental Admiral on leadership describes “How Leaders Make Things Happen.” These include: “Speak with simplicity and precision,” “Prepare thoroughly for key events,” “Look at the law or regulation yourself,” and “Carve out time to read.” By itself, these sections should be assigned in any leadership course. Fans of Admiral Stavridis’s previous works are surely going to enjoy The Accidental Admiral. For new readers, it can serve as a valuable introduction that will then pull them toward his other works. Stephen Phillips served in the U.S. Navy as a surface warfare officer and Explosive Ordnance Disposal (EOD) Technician. He is the author of The Recipient’s Son, a novel about the U.S. Naval Academy published by the Naval Institute Press. 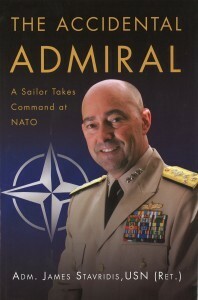 Phillips also reviewed Admiral Stavridis book about command at sea Destroyer Captain.